It seems like you can’t open a web site these days without finding dog owners talking about the food allergies that their dogs are suffering from – and looking for new foods to try. How on earth did canines exist for thousands of years with such a sensitive digestive system? Afterall, vets tells us that the dog’s digestive tract makes up about 70 percent of the dog’s immune system. Dog owners usually blame commercial dog foods and their ingredients for these allergies but foods don’t cause allergies. Ingredients in foods can be allergens, but the allergy, or reaction, exists in the dog and his immune system. So, we have to ask, what’s really going on? Food allergies (and food intolerances) are caused by a reaction to a specific ingredient (or ingredients). It is an abnormal response to a food. When the immune system is involved the reaction is called a food allergy. When the immune system is not involved, it is a food intolerance. 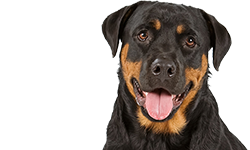 It can take months or years for a dog to develop a food allergy. Most puppies never show an allergy before they are six months old. Dogs have to be exposed to a food more than once before they can develop an allergy. Most allergies seem to appear when dogs are between 1 and 3 years old. But once a dog is allergic to a food, he will probably always have an allergic reaction to it. Allergic reactions are nearly always associated with proteins. While this usually means meat proteins, it can also include the proteins in grains and dairy products. 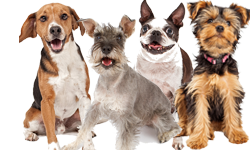 Allergies and intolerances affect males and females, all breeds and mixes, and dogs of any age. Even a dog that is elderly can develop an allergy for the first time. The canine digestive tract is really not that sensitive. Dogs eat all kinds of horrible things and survive just fine. Dogs are happy to catch and eat small animals when they can. They lick their butts. They eat odd things in the house. If you’re a dog owner then, chances are, you have found your dog eating plenty of things he absolutely shouldn’t be eating and he had no ill effects. Once in a while a dog does eat something that requires a visit to a vet or surgery (rocks, something poisonous, dozens of golf balls, a butcher knife – seriously, vets have removed large knives from a dog’s stomach), but, for the most part, dogs have an amazing stomach and digestive system. It is much stronger than our human digestive tract. Without going into too much detail, the dog’s digestive tract is shorter than ours so food passes through it faster. It also contains stronger stomach acids so it can break down foods that we can’t eat – at least not without cooking or other processing. Here’s a good explanation of how your dog’s system is supposed to work – and how it doesn’t work with a food allergy. This doesn’t mean that you should feed your dog old shoe leather, but a dog’s stomach is not nearly as sensitive as many owners seem to believe. However, it can be upset by sudden changes in diet and some food ingredients, especially if the immune system is not as strong as it should be. Chronic problems can develop if the digestive tract becomes inflamed and doesn’t have a chance to heal. 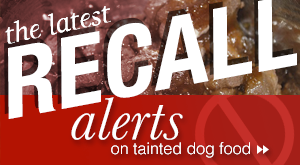 Dogs can be allergic to some ingredients often found in dog foods. In order, dogs can be allergic to beef, dairy products, chicken, lamb, fish, chicken eggs, corn, wheat, and soy. Corn, wheat, and soy are often blamed for allergies in dogs but you can see that there are lots of other ingredients that dogs are more likely to be allergic to other than corn, wheat, or soy*. It’s not surprising that these are some of the most common ingredients in dog foods. Dogs (or people, for that matter) are more likely to develop allergies to things they are most often exposed to. If dog foods begin to use kangaroo meat in foods in great quantities, it won’t be long before lots of dogs develop allergies to it. For the record, only about 10 percent of all dogs that have allergies have dog food allergies. By far most dogs with allergies have flea bite allergies or atopy/inhalant allergies. 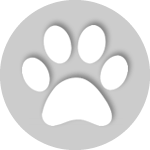 *According to one pet food company, the most common causes of food allergies are beef, milk products, and wheat. WebMD gives a different order for the common allergens: beef, dairy, wheat, egg, chicken, lamb, soy, pork, rabbit, and fish. Your dog will be miserable with these symptoms. 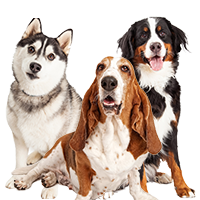 They are similar to other kinds of allergy symptoms in dogs but the ear infections are more likely to be yeast infections. And the problem will not respond to steroid treatment. 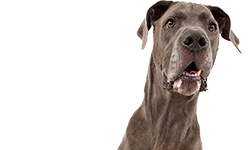 If you suspect your dog has a food allergy, the best thing to do is to see your vet. You should conduct a food trial to try to identify exactly which ingredient or ingredients your dog is allergic to. A food trial and an elimination diet take several weeks or months to conduct them properly but they are the best way to really determine what is bothering your dog. You can try to guess what your dog is allergic to yourself and start changing foods to avoid certain ingredients but, with quality dog foods being rather expensive, and being uncertain which ingredient(s) your dog might be allergic to, this approach tends to be expensive. You might have to buy lots of foods and discard them after feeding just one or two meals. It can also take time and there is no guarantee of success. In the meantime, your dog is still suffering from his allergy symptoms. We recommend you work with your vet to identify the cause of your dog’s allergy symptoms. Many people think their dog has a food allergy when he actually has a food intolerance. The difference is that one is an allergy with itching and scratching and the other is a digestive problem. A food intolerance is similar to what someone might experience if they eat spicy food and then spend the rest of the night in the bathroom with diarrhea. There’s nothing wrong with the food. There is no itching or scratching. No hair loss. No ear infections. But, your dog has an intolerance to something in the food and he can have diarrhea or some vomiting when he eats the food. If your dog has digestive problems when he eats certain foods, he could have a food intolerance instead of a food allergy. 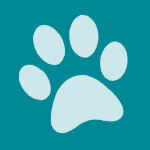 You can work with your vet on an elimination diet to identify the problem, as with a food allergy. Or use the list of foods that frequently cause problems above and look for foods that don’t use these ingredients. 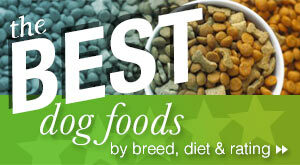 There are many good dog foods today for dogs with food allergies and intolerance’s. If you can identify the specific allergen(s) involved, you may be able to feed your dog a commercial diet. However, many dogs with a food allergy will eventually develop allergies to other food ingredients, so be prepared to find another food at some point. 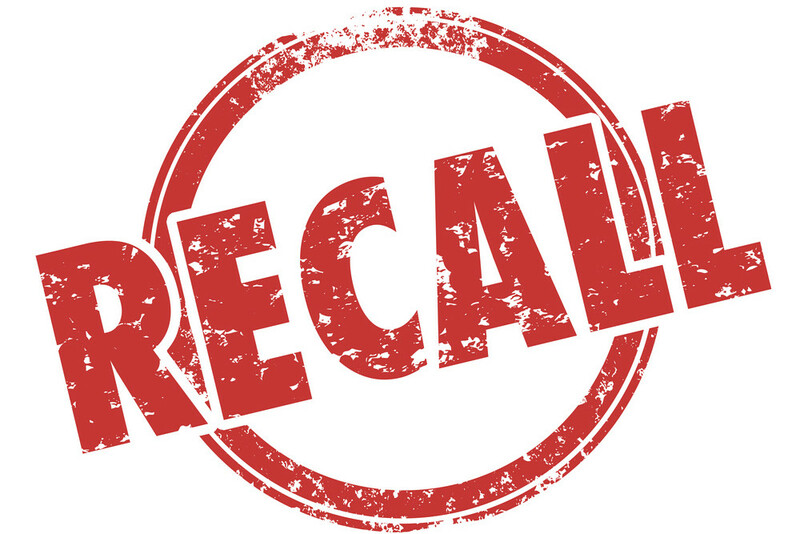 Some of the foods for dogs with allergies and food intolerance’s are veterinary formulas made by Purina, Royal Canin, Hill’s and similar companies. 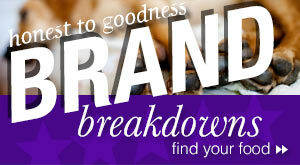 These foods tend to be very expensive but they are sometimes the only choice. Some of these foods use hydrolyzed protein. These are proteins that have been made so small that the immune system doesn’t react to them so your dog has no allergic reaction to them. 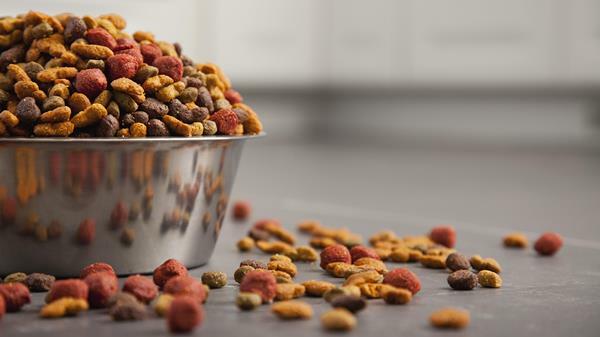 Owners probably do more harm to their dogs’ digestive tract by switching dog foods frequently, even if the foods are good quality, expensive foods, than if they fed them one good food all the time. Changing foods often and upsetting your dog’s digestion is a sure way to keep his digestive tract inflamed which can lead to chronic problems. Even if you are always searching for a better dog food, your dog might be better off if you stay with one food longer and give his digestive tract time to heal. If you continue to change dog foods, your dog can present with the same kind of symptoms that you find with a food intolerance: diarrhea and vomiting. 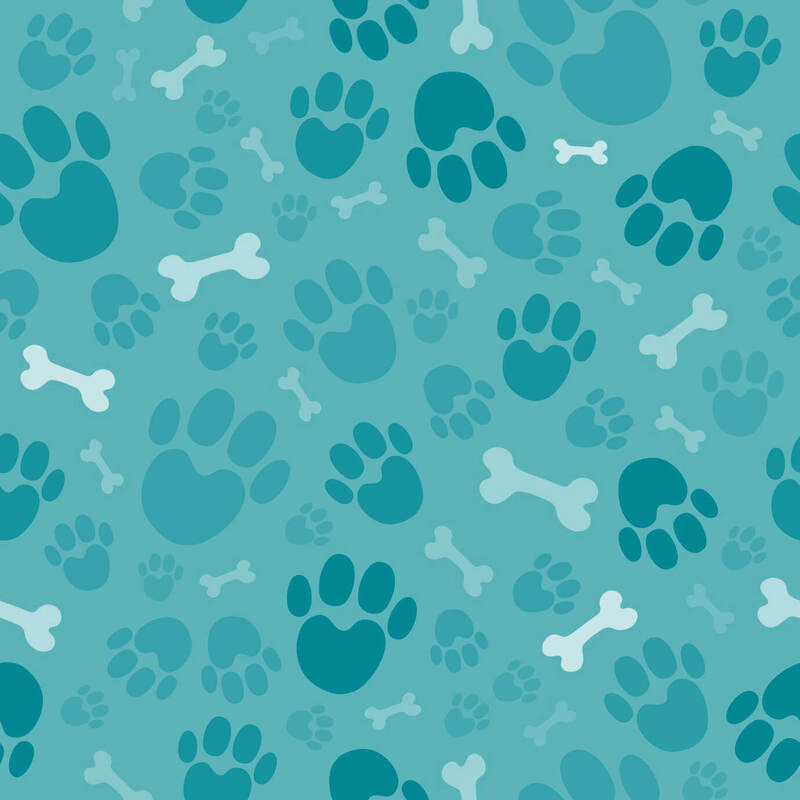 If your dog doesn’t have an allergy or a food intolerance, try not to change dog foods too often or you could cause some of the problems you are trying to avoid. It’s fine to rotate dog foods. In some cases it’s even recommended to give your dog a good variety of amino acids. But if you change foods too often, it can become a problem. If your dog has a good immune system, then feeding him a good quality food is usually all he needs. Making frequent changes to his diet can lead to problems.